The main image created by Webster students for "Peter and the Wolf"
But this isn’t a class project. It’s a real artwork that will be unveiled in front of audiences attending live performances of the St. Louis Symphony at Powell Hall on Nov. 27, 28 and 29. The Saturday, Nov. 28 concert will also be broadcast live on St. Louis Public Radio. Representatives from the orchestra also provided the students with several mimeographed copies of works of Russian art that St. Louis Symphony Music Director David Robertson suggested they explore. Since then, the students and Jackson have been meeting weekly to work on the project. 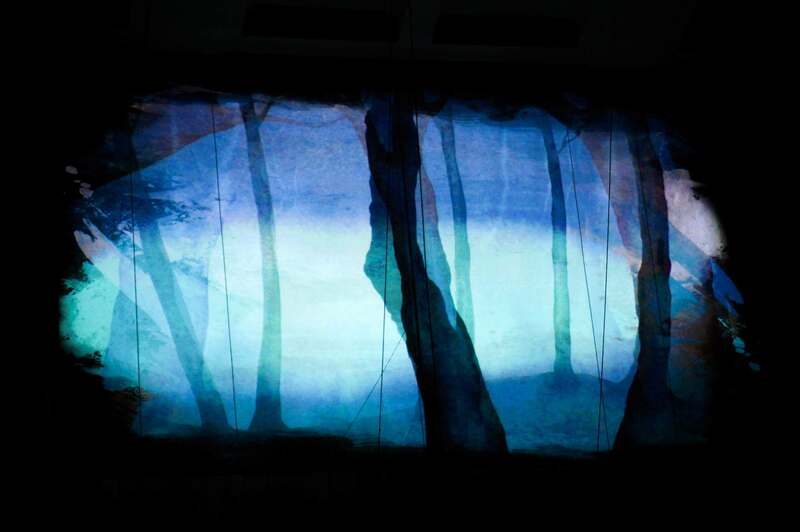 Through this, the students elected to never show the image of Peter in ‘Peter and the Wolf.” Instead, his presence is represented through flashes of bright colors such as orange and reds that contrast with the darker greys and blues used in the art. Some of the art shows the Wolf, though even those images are abstract and open to interpretation. “We added ripple effects on some of the photos to accentuate that feeling, as if you might be looking at a reflection in a pond instead of directly at a forest,” Tang added. On Nov. 9, the students took their work to Powell Hall to show it to Robertson and members of the St. Louis Symphony staff. The students ran through the 25-minute program. “Wow, those colors reflect well off the walls of the hall,” one member of the staff said. “These are going to work really well,” another added. The students were given some feedback. A title slide would need to be added and some colors would need to be adjusted to better match the lighting in the hall. The students headed back to campus to tweak their works. “What makes this amazing is the Symphony allowed us to have the creative authority to put our best work forward,” Manns said. “It also helps that we have a great team and we all saw the same vision,” Arco added. Although the four students have taken the lead on the visuals, others in Webster's Leigh Gerdine College of Fine Arts also have been working hard on the project, Jackson said. Students Conner Vande Vanter and Jeffrey Behm have been working on lighting design for the show, Taylor Vaughan is in charge of stage management and Jared Camp is the lead dramaturg (script manager) for the spoken parts of the performance. Others involved include professor Bruce Longworth, who will direct the live narration. The narrators will be professor Lara Teeter, and student Annie Barbour. Professor Rusty Wandall is in charge of sound design for the program. 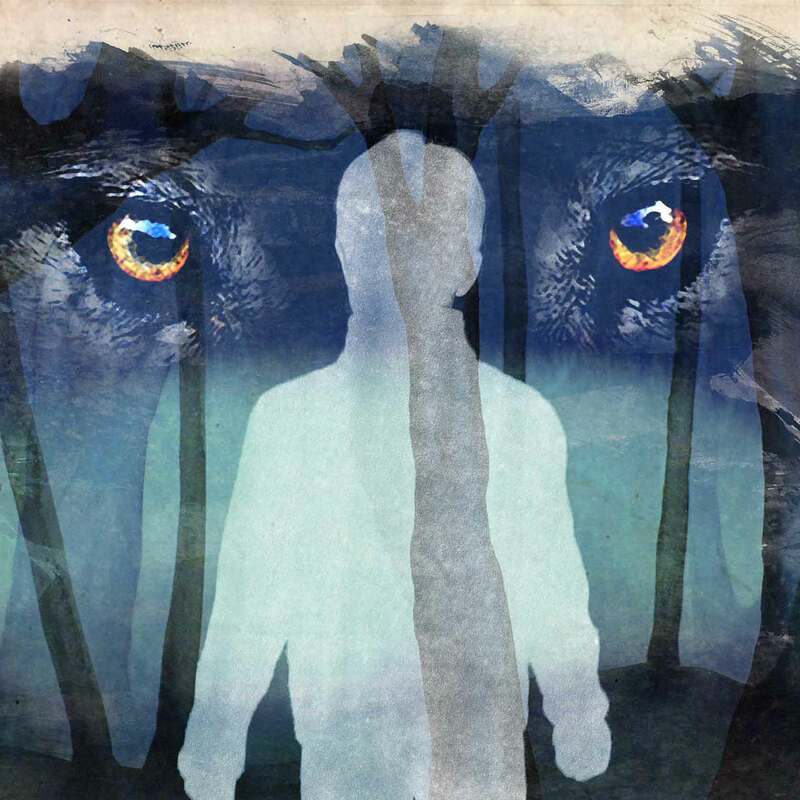 Besides “Peter and the Wolf,” the St. Louis Symphony also will perform the U.S. premiere of “The Wolf,” a concerto for double bass by the celebrated film composer of “Crouching Tiger, Hidden Dragon,” Tan Dun. Tickets for the show are on sale now and can be purchased at stlsymphony.org. The Symphony also is offering $10 student tickets to the Friday and Saturday evening performances by visiting http://www.stlsymphony.org/en/tickets/special-offers/student-offers/student-tickets/. One ticket per student ID. With its home campus in St. Louis, Missouri, USA, Webster University (webster.edu) comprises an action-oriented global network of faculty, staff, students and alumni who forge powerful bonds with each other and with their communities around the globe. Founded in 1915, Webster is a private non-profit university with almost 20,000 students studying at campus locations in North America, Europe, Asia and Africa and in a robust learning environment online. The university is committed to delivering high-quality learning experiences that transform students for global citizenship and individual excellence.